I said it yesterday…I have lots of time on the weekends, but weekdays are jam packed. Read between the lines: I have no life. 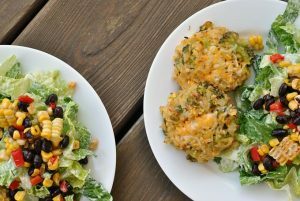 But I spent this past weekend not only making an AMAZING anniversary dinner for Mr. Prevention and I, but I also tried TWO other new recipes…one being a Prevention RD original. *gasp* I know. But it’s actually really good!! OH. MY. GOSH. 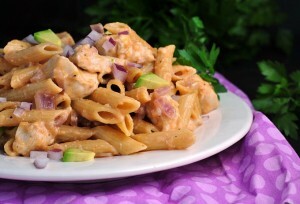 You simply HAVE to try this recipe!!!!!!!!!!! I mean….seriously amazing. I can’t even put in to words how good this stuff is. I had it straight off the pan, and mixed in some vanilla yogurt……seriously, it’s better than cookies. OMG SO GOOD. You have to try this!!! You’ll never buy granola from the store again! Um, convinced. I’m easy. And what a doll to take the time to email me that recipe and all its praise! Result: Courtney speaks the truth!!!! This granola is without a doubt, hands-down the most UHH-MAZING granola ever! Even coconut-hating Mr. Prevention LOVED this granola! It is so crunchy and flavorful! THANK YOU, Courtney!! You are my granola HERO! Heat oil in a large frying pan. Add turkey bacon and potatoes. Cook, stirring occasionally, until potatoes are softened and turkey bacon begins to crisp, about 10 minutes. Add onion and bell pepper. Cook for 3-4 minutes or until softened. Add mushrooms and spinach. Cook, stirring occasionally until spinach wilts down and mushrooms soften. In a large bowl, whisk together eggs, Egg Beaters, salt, pepper, all-spice, and half-and-half. Result: These were really good! They did well being reheated at work for a high-protein breakfast on-the-go. I love that they are low in calories, contain lots of fiber, and are low on the carbohydrates. I will definitely be making them again! Jenna of Foodie in the City posed a great question to her readers last week: Do you ever find yourself comparing yourself to other bloggers and their accomplishments? If so, what do you to avoid that? It’s hard not to compare yourself to others, but it won’t get you anywhere positive to do so. There will always be someone faster, stronger, and more devoted. That’s just how it is! I admire people who are balanced and do things for them…not to say, “Look at me, blog world…I’m always doing bigger and better things!” It’s exhausting to always be putting yourself up to bigger and better…because you’ll never be GOOD ENOUGH. And that’s just not true! Question: Do you try to keep from comparing yourself to others (bloggers or otherwise)? Do you think there’s a healthy balance of comparison to others, or is it always unhealthy? It’s so hard for me to compare myself in a healthy way. I find that when I do it, I just make myself feel bad so I try not to compare myself. I do however find motivation from seeing what other people are able to do. I compared myself at first – I think most people do at first, especially me because I had never really read blogs, so I had no idea what they were about. I stopped long ago. We are all unique and our own person. I think it’s important to blog about what we WANT t blog about. I liked your response to the question. It is hard not to compare yourself to others and it is especially hard when people seem to be flaunting accomplishments. But for the most part, I find myself inspired by what other bloggers have done and get great ideas for new things to try. Happy anniversary chica! I’m sorry it’s belated! Those two recipes look fantastic. Especially the coconut granola…I’d love to have some of THAT in my yogurt. I try not to compare myself to other bloggers. Other people have more time and resources than I do, and I’m okay with that. I like having a balance in my life and wouldn’t want to devote my WHOLE life to blogging. I think everyone has compared themselves to other bloggers at one time or another. Its hard not too. We can’t get wrapped up in it. Our blogs are first and foremost for us… its way too exhausting to compare. I think we probably all fall into the comparison trap. I suppose it could be beneficial if it motivates us to be the best that we can be, but the truth is that most of the time it just drives us crazy and makes us feel bad! So not worth it! I think I compare myself to others less now that I am a little older. I think in high school I did it a lot, but now I am just my own unique individual and do things my way! I seriously can’t stop making my own granola. I always switch it up a little bit and I love it! It seems like your always making up some delish-looking granola over here…I really need to make time to get on the granola making bandwagon..I somehow always forget! I’m sure we’ve all compared ourselves at one point. I know I have- but realized it’s not doing me any good. Now, I do watch other bloggers and I use that to help inspire me to do something or reach a certain goal. I always wanted to do a half marathon, but didn’t think I’d be doing one anytime soon, until I started reading about people who were in training for theirs and everything they went through during the training. Totally inspired me! You are right- the granola is indeed YUM !!! I happen to have access to gluten free oats, and so I was able to make this to enjoy myself on top of nonfat yogurt. I made mine in the crock pot, and the smell of it cooking was wonderful as well. And your frittatta recipe jogged my mind to a similar one I was using in the past, but I called them baked crustless quiches. You can freeze these and reheat in the microwave or regular oven as well. As to other bloggers, I don’t compare myself to them but I find I get inspiration in some area from each and every one I read. There are a lot of talented people out there, all walking a road that is similar in many ways but incredibly individual. Makes for an interesting mosaic ! I’m glad you loved the recipe! It’s actually mine that Courtney used a couple weeks or so ago 😉 I love that your coconut-hating hubby loved it! That makes me feel good to know my granola’s getting some love! OMG can’t wait to try the granola! It is a little higher in calories than I prefer, but it could be a great treat! I usually stick with Bare Naked Fit granola – cause I am addicted to all things granola, and Bare Naked is a bit on the lighter side. I have been comparing my blog to others lately. I’ve been thinking that there are so many great blogs out there that give a great story, great info and keep my attention. I need to spruce up my writing a bit and find a real purpose for my readers. It needs to be more than just motivation for myself, which is what the blog is and was originally based on. I think it’s hard not to compare yourself to others. I won’t lie–I do it. But I try not to do it often. It doesn’t get you anywhere. Ohhhhh man. I’m so bad at comparing myself to others, in both the blog world AND the real world!! I’ve started to get a little better, but it’s hard! I’m always convinced that everyone is doing better than I am. It’s been a hard habit to break, but I’m working on it. Sometimes I compare, but most times I like to get ideas for new food finds when reading blogs! I think there can be a healthy balance when you look at someone else’s accomplishments and they inspire you to do something you may not otherwise do. BUT, if by comparing yourself to others it puts you down then times like those aren’t good. Thanks for the shout out, lady! I think there can be a healthy balance between comparing outselves against others. Although, I wouldn’t really call it ‘comparing’. I think that when you read others blogs you can become motivated and inspired… THAT is what I think we can healthfully pull from reading others’ blogs! I am copying the recipe for those mini frittatas now! Those look delicious and I LOVE anything with eggs. You certainly have been a very busy girl! I dont compare myself to other bloggers, its just so unproductive. I find a lot of inspiration through the blog world though. I see people doing all these amazing things and it makes me want to try harder. I think thats a great thing, Ive been so motivated by other bloggers, and it has helped me so much in trying to live a healthier life. I’m not sure what other bloggers are DOING that people compare themselves to…but I’ve been guilty of comment jealousy, for sure! That and photo envy, definitely. But as everyone else said – it doesnt get us anywhere! The mini frittatas look awesome! I love that sort of thing. I make crustless quiche all the time, but my husband says he doesnt like it without a crust, so lately I’m looking for ways to make less caloric crusts. Fillo dough works, and you can keep it thin so it doesnt add many calories at all. considering you are so busy you always post such great recipes! Oh, those individual frittatas look fantastic!! Great to grab for breakfasts on the go!! 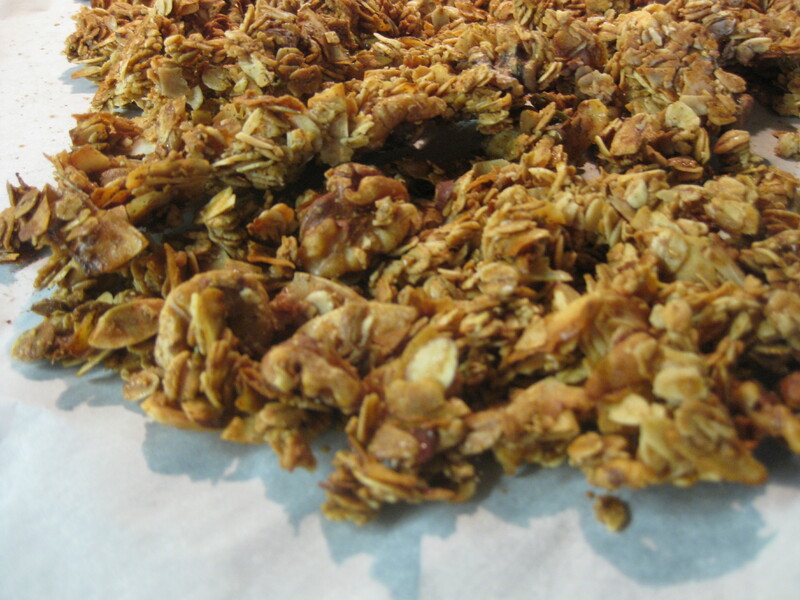 That granola looks so good — and I’ve got some coconut sitting in my pantry, waiting to be used! 🙂 I try not to compare myself to others, but it can be really hard sometimes. But you’re right, it doesn’t lead to anything positive! 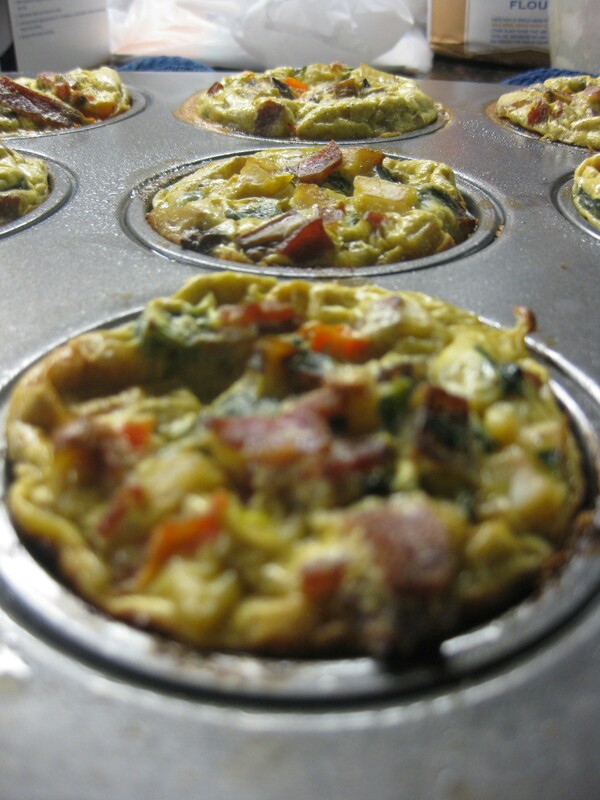 Those veggie frittatas look awesome! I wish I had the ingredients to make those tonight! May have to run to the store ha! I love the post you made about comparing yourself to other bloggers and I completely agree….well said! The veggie frittatas look soo good! I love that it you can make them on the weekend and heat up for during the week. I know how it can be where you don’t have much time..the ten hour days can definitely be long. I try not to compare myself to other bloggers. Sometimes I have to remind myself that I do this for fun and have met so many great bloggers along the way. Sometimes I do wonder if my blog isn’t good enough..I’m sure we all do that at times. I love your little frittatas (or as I call them, crustless quiches 🙂 ) They are so great for traveling, too, and bringing to lunch! I try and keep it a healthy competitive comparison as it helps motivate me to do better as I don’t get much of that from folks I know around here. Anything with bacon is a plus in my opinion. As for bloggers, I feel that there are so many unique voices that there’s no reason to compare. Maybe I should take this approach the next time I see someone rockin’ the front crawl. I’m soooo glad you tried the recipe!!! I would say I’m glad you liked it…but um…how could you not!?! Haha. Ashlei did one heck of a job on that one! My plan was to surprise her with this post, but she beat me to it!!! Thanks for posting it, the world needs to know about Ashlei’s Amazing Granola!!!! Haha. And those veggie frittatas? Ohhhh I’m gonna have to try that this weekend!!!!! I think there is a healthy balance when comparing yourself to others. I was talking about cars when I made this point but yes I have my current body, and I like my current body, it could be far worse…so I should be proud to have a functioning (and great) body BUT there is always room for improvement. I do not think that I compare my eating to other bloggers… or workouts (I would be far behind if I did) but I do get great ideas from blogs. I would love to make the frittatas but how much calories and carb would it be if I use regular bacon?